This time of year humidity can be a real headache for those of you with curly hair. Frizz can occur out of nowhere and frustrate all of your hair styling attempts. Your hair absorbs the moisture in the air expanding each hair like a balloon. So I’m always on the lookout for anti frizz products and ideas that might help all of my frizzy haired readers. Recently I ran across this piece from the Louisville Courier Journal. What is really interesting about the article is that the writer, Megan Conley, just finished seventh grade at Barret Traditional Middle School in Louisville. I tink she did a pretty good job, don’t you? Who is having a good hair day? Many women hate their curly hair. But why not love it? VO5 has a new anti frizz hair product called Curvaceous Curls! Styling Mousse. Just scrunch it in your hair and have anti frizz, springy curls all day long. Besides its outstanding power to define your waves and curls, it can be found for a very low price. I first discovered my favorite mousse the day after I got my hair cut. When I was at the hair salon, the woman who cut my hair put in a sensational mousse to keep my waves under control. While my mom was paying, I asked if they sold the curling mousse at the salon. The cashier quickly led me to a shelf with many of the bottles. Before I had a chance to pick it up, I noticed the price tag. It was $13.99. In my opinion, that is way too much for a small bottle of mousse. The next day at Target, I was browsing the cosmetic aisles. Suddenly, the VO5 anti frizz Curvaceous Curls! Hair Mousse came into view. The bottle was as bright red as a cardinal. “Curvaceous Curls!” was printed boldly on the front of the bottle. I quickly picked it up and threw it in the cart. 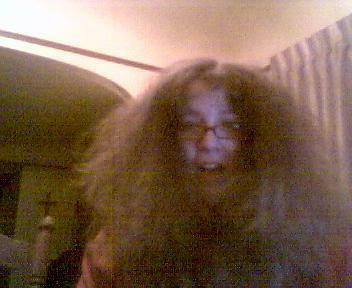 Ever since that day, I use the VO5 anti frizz curling mousse every time I don’t have my hair in a ponytail. One of the best characteristics of the mousse is the texture. Once you shake the bottle, all you have to do it press the cap down. Immediately, white foam will push through the bristled cap. The foam is fluffier than a cloud. It makes it very easy to work with. Besides the magnificent texture of the mousse, your hair will be soft and silky for the rest of the day. Unlike ordinary hair sprays and gels, your hair will not be as stiff as straw. The mousse will not dry it out either. Also, your hair will not be weighed down. This mousse allows your hair to move and spring around freely. August 14, 2006 By: Barb Quinn Hairstyle Blog Leave your comments (1), Your input matters.